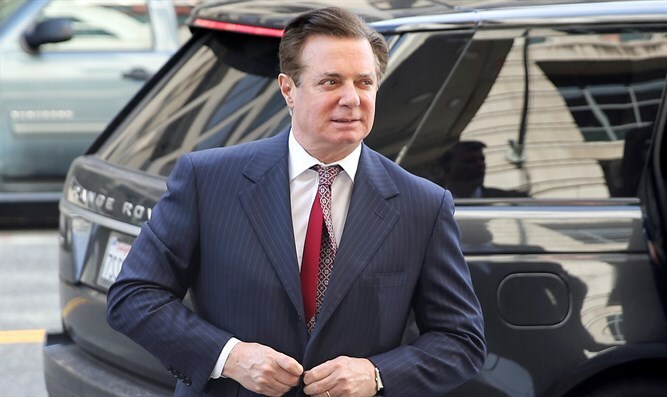 Federal judge rules that Paul Manafort intentionally lied to the FBI and special counsel Robert Mueller multiple times. A federal judge ruled on Wednesday that Trump campaign chairman Paul Manafort intentionally lied to the FBI and special counsel Robert Mueller multiple times in the course of his cooperation with the government, The Hill reported. Judge Amy Berman Jackson ruled that Manafort intentionally misled investigators on a range of subjects, including his contacts with a Russian business associate Konstantin Kilimnik and a separate Justice Department investigation being run out of another district. Jackson, who is overseeing Manafort’s Washington, D.C., case, ruled that the special counsel “established by a preponderance of the evidence” that Manafort intentionally lied about a payment made to a firm working for him; his interactions with Kilimnik, a Russian who is suspected of ties to Kremlin intelligence, and the unknown Justice Department investigation. However, the judge said Mueller failed to establish sufficient evidence that Manafort intentionally lied about his contacts with the Trump administration or Kilimnik’s role in a scheme to tamper with witnesses. Last September, Manafort agreed to cooperate with the Justice Department, including in Mueller's investigation of Russian interference in the 2016 presidential election. In November, Mueller and defense attorneys for Manafort said he had violated his plea agreement by lying to federal prosecutors. His former business partner Richard Gates, who also worked on the Trump campaign, has also pleaded guilty and been cooperating in the investigation. While Mueller is investigating possible collusion between Trump's campaign and Russia, Trump has reportedly been informed he is not a target of the probe. Trump has acknowledged intelligence information indicating that Russia meddled in the 2016 presidential election, but has rejected the idea that his campaign colluded with Russia in the meddling.